When you think of kids in New York City, the first image that comes to mind is probably not young women testing water samples or photographing the city’s trees. 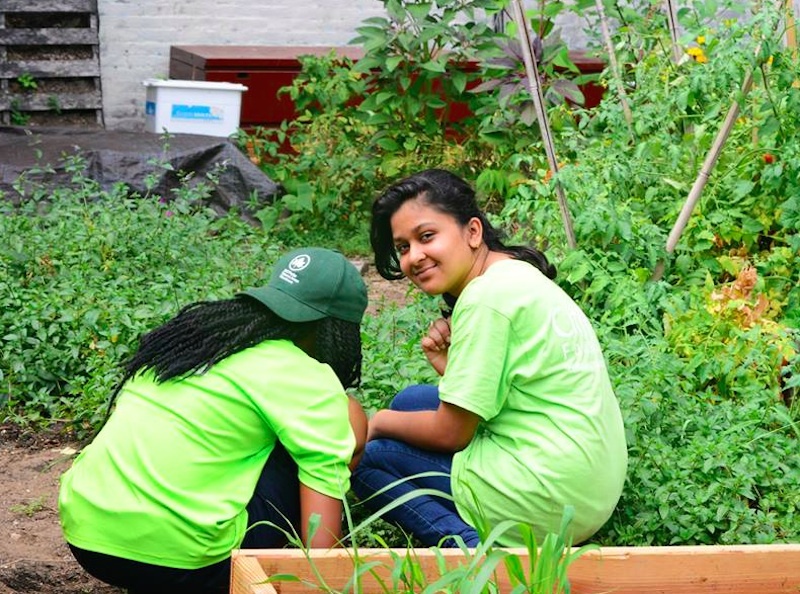 The Green Girls program, part of the City Parks Foundation, is opening up the natural world to a group of middle school girls, and they don’t have to stray far to find inspiration and reasons for engagement. The free, weekly, after-school program covers a variety of topics concerning the area’s natural resources, with the focus this fall on water usage and health in New York City. As part of an ongoing discussion on water pollution and the pathways that water takes en route to each city dweller’s faucet, the middle schoolers are performing experiments to test for evidence of certain bacteria and chemicals in their water supply, listening to guest speakers, going on field trips to water treatment plants, and performing service projects such as cleaning and planting in garden spaces. Along with exploring several related fields of science and technology, these young women from I.S. 204 in Queens are also building leadership skills and benefiting from the help of professional photographers and videographers as they document and illustrate their findings for the wider public. A hands-on and applicable way to introduce STEM to young women, Green Girls is growing the city’s next generation of environmental stewards and creating nature lovers in a place where green spaces and environmental education are often scarce. 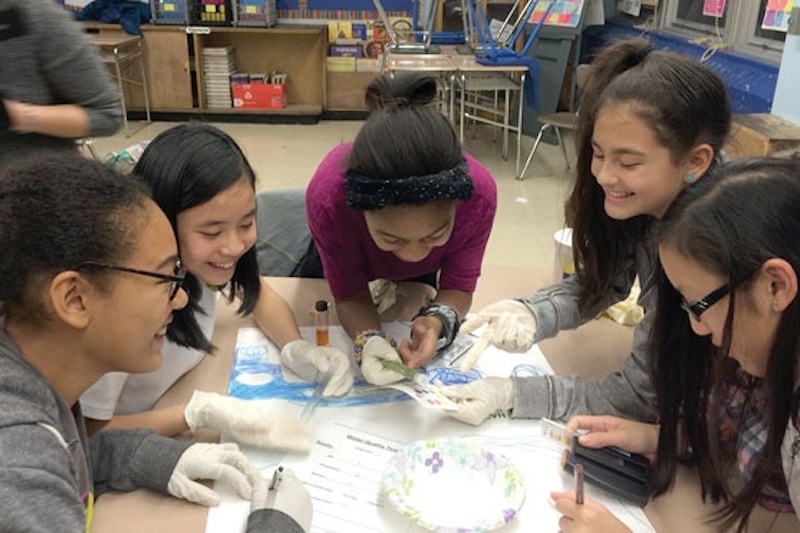 A summer Green Girls program will also take place this year, with participants traveling through all five boroughs and taking part in activities including bird watching, canoeing, and conducting their own science experiments. When you think of kids in New York City, the first image that comes to mind is probably not young women testing water samples or photographing the city's trees. The Green Girls program, part of the City Parks Foundation, is opening up the natural world to a group of middle school girls, and they don't have to stray far to find inspiration and reasons for engagement. The free, weekly, after-school program covers a variety of topics concerning the area's natural resources, with the focus this fall on water usage and health in New York City. As part of an ongoing discussion on water pollution and the pathways that water takes en route to each city dweller's faucet, the middle schoolers are performing experiments to test for evidence of certain bacteria and chemicals in their water supply, listening to guest speakers, going on field trips to water treatment plants, and performing service projects such as cleaning and planting in garden spaces.